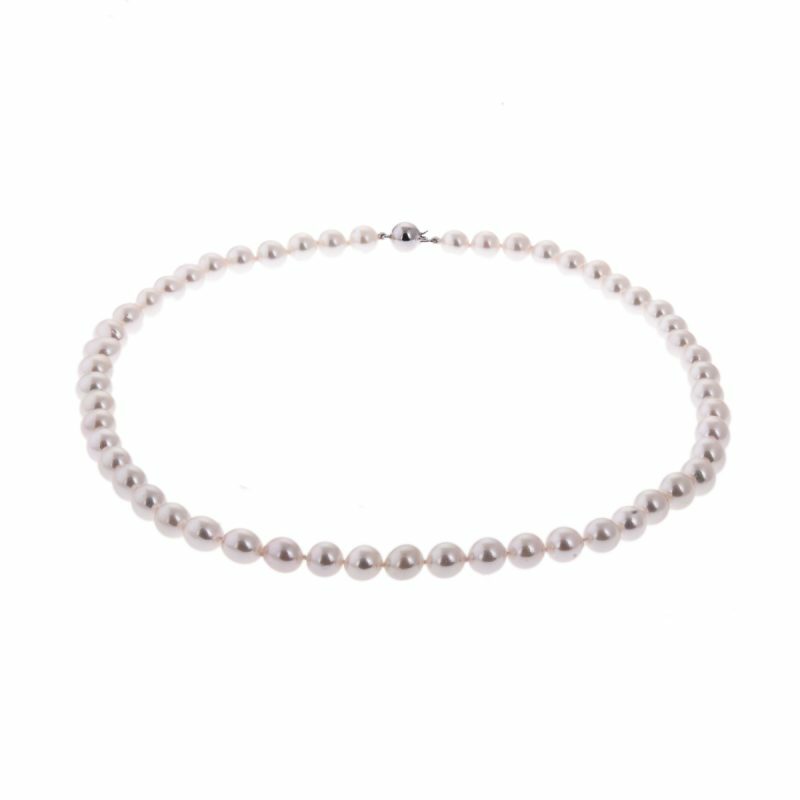 A single row of uniformed Akoya cultured pearls with a polished 18ct white gold ball snap. 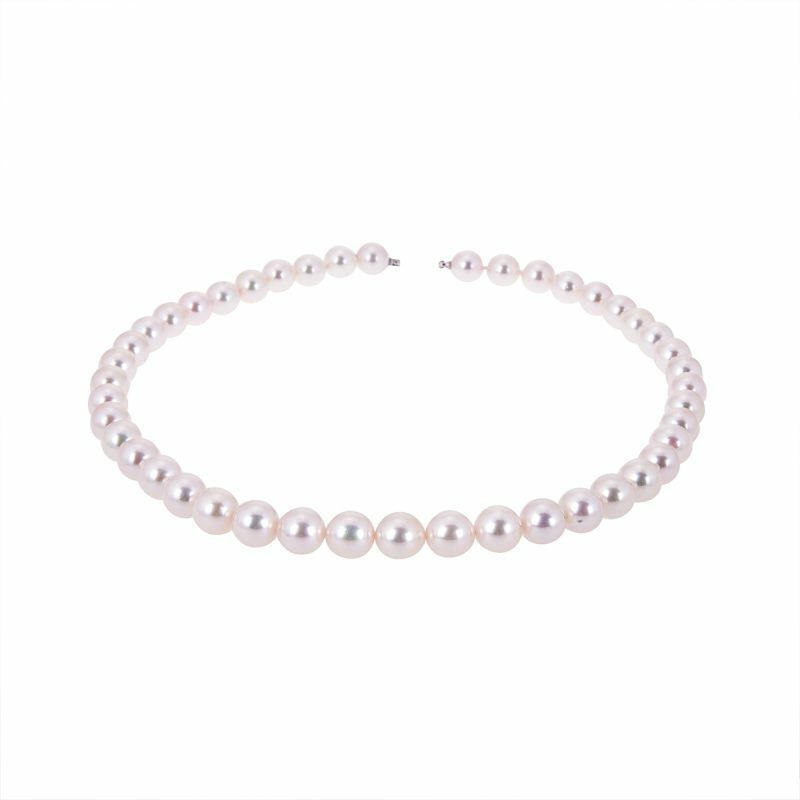 Loved for their perfectly round shape, iridescent lustre and delicate colours of pink and white, pearls are coveted throughout the world for their unique appearance. 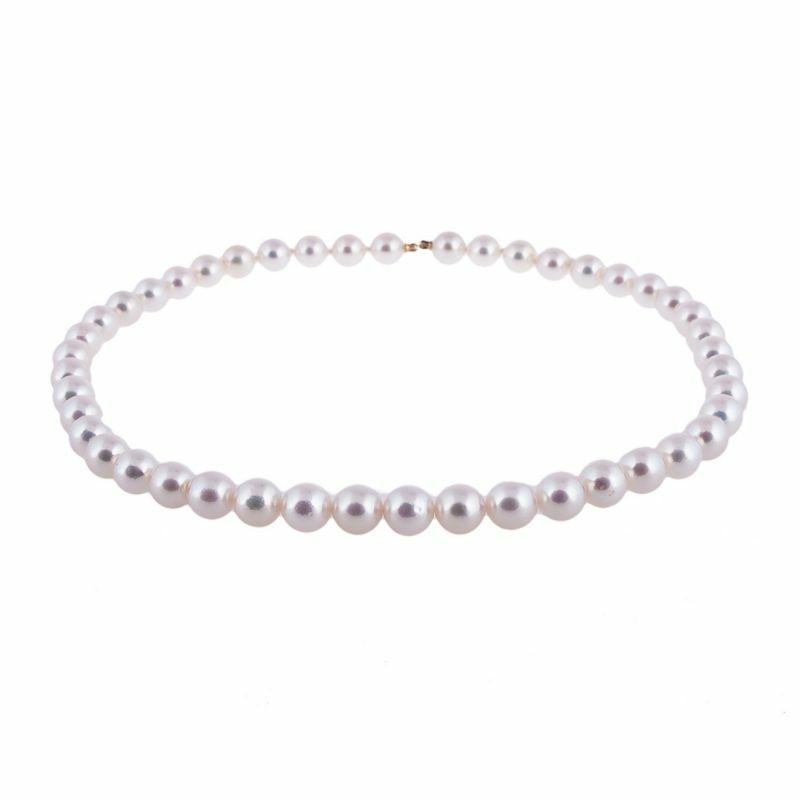 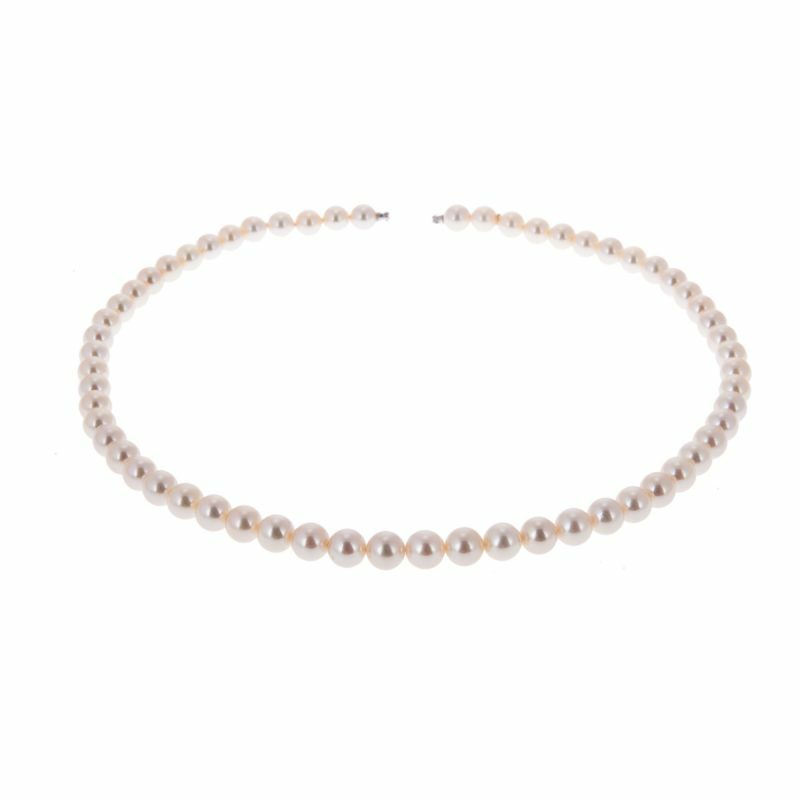 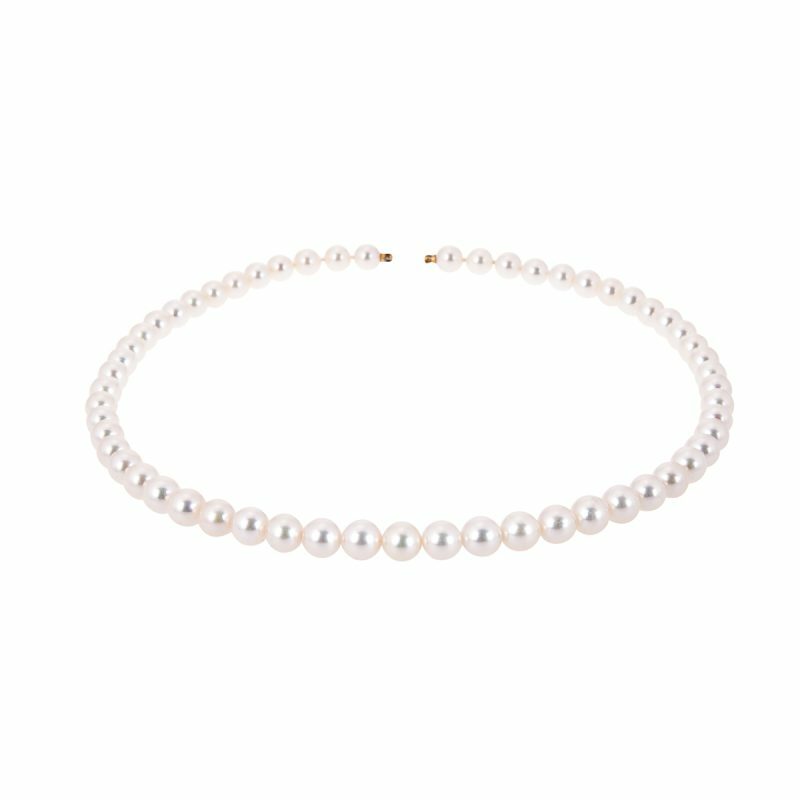 This beautiful 7.5-8mm pearl strand is designed to shimmer and radiate timeless beauty.